This could be the most expensive car in the world. 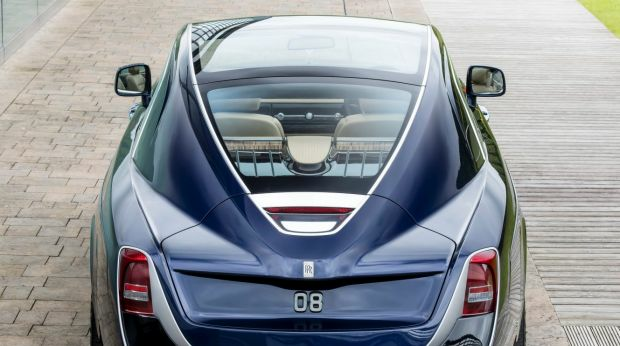 Tipped to cost R220 Million to R260 million, the bespoke Rolls-Royce Sweptail coupe is a limited-edition one-of-one machine created to satisfy the vision of a particularly exacting customer. Making its public debut at the Concorso d’Eleganza at Villa d’Este in Lake Como, the machine features hand-crafted bodywork inspired by racing yachts. Dramatically sculpted lines see glossy blue panels and immaculate bright work meet a full-length panoramic roof unlike any other car on sale. Rolls-Royce Torpedo Photo: James Lipman / jameslipman.com Rolls-Royce built the Sweptail coupe for a particularly discerning customer. Rolls-Royce says the project started four years ago, when one of its most valued customers requested a car like no other. 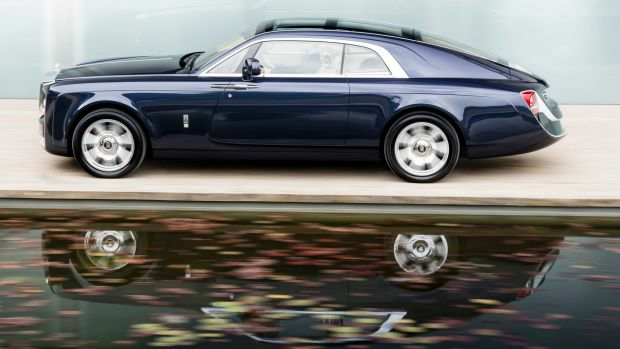 The anonymous owner worked with Rolls-Royce design director Giles Taylor to create nautical-themed bodywork distinct from any production model. “Sweptail is the automotive equivalent of Haute Couture,” Taylor says. The car features only two seats, and its interior was crafted with minimalism in mind: buttons and dials are tucked out of sight to keep the cabin uncluttered. Hand-trimmed in moccasin and dark spice-coloured leather as well as polished ebony and open-pore paldao veneers, the interior also features a clock made from wood thin enough to be backlit. Bespoke carbon fibre luggage includes a dedicated laptop holder, and the prod of a button reveals a chilled champagne bottle and special flutes. The British marque has not revealed drivetrain details behind the model, though it’s fair to say the brand’s existing V8 and V12 motors would provide sufficient momentum for the Sweptail.